Photography is a real art form, and a pretty demanding one; the best results require highly-refined skills together with innate talent. This means that you have to be willing to take classes, try new things, and educate yourself in order take pictures that you can really be proud of. Use digital techniques to create photographs that resemble oil paintings, watercolors, graphic pencil sketches and more. Many software packages are available, with Adobe Photoshop being the most popular. Some of these programs are more complicated than others, but the filter function is how you can convert your photos to art-like quality. Tinker around here and find filters you like. Overcast skies can present problems when you are taking pictures, so exclude them from the image frame. 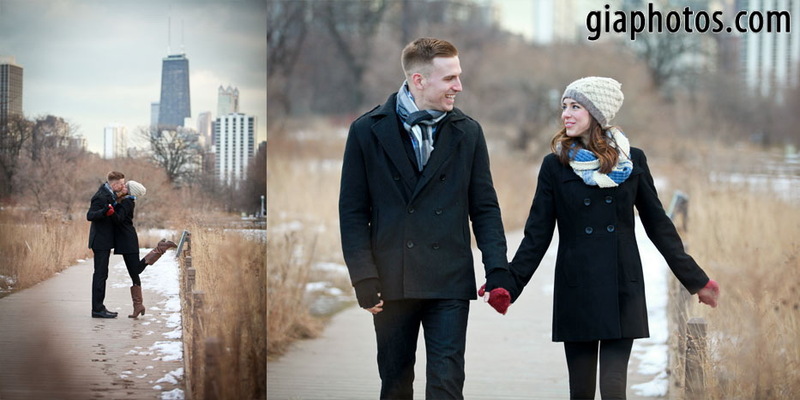 Your photo will look washed out if you have too much gray sky in it. A better option for shooting in overcast is to use black and white. Include a blue and beautiful sky if you want to. but make adjustments for available light. Simplify your camera settings for the best results. Take the time to fully understand one part of your camera controls, such as shutter speed, prior to moving on to aperture or other features. This will enable you get the image that you want, when you want it, instead of losing time having to fumble with the settings. A lot of people consider gorgeous days of abundant sunshine to be ideal for snapping good photos, but direct sunlight is actually a good way to mess up a good picture. It casts strange shadows and glare, causes subjects to squint, and highlights unevenly. If you can, only shoot outdoors in the early hours of the morning or during late evening hours. As you should now know, you have the ability to become a successful photographer. Snapping picture has more to it than just pointing and shooting. It is about capturing the art already present in the world around you and forever immortalizing it. This entry was posted in Chicago Wedding Photographer on February 23, 2018 by Chicago Wedding Photographer. So, as promised in my last blog, here are some photos from a few surprise proposals I’ve had the pleasure of photographing all throughout Chicago. 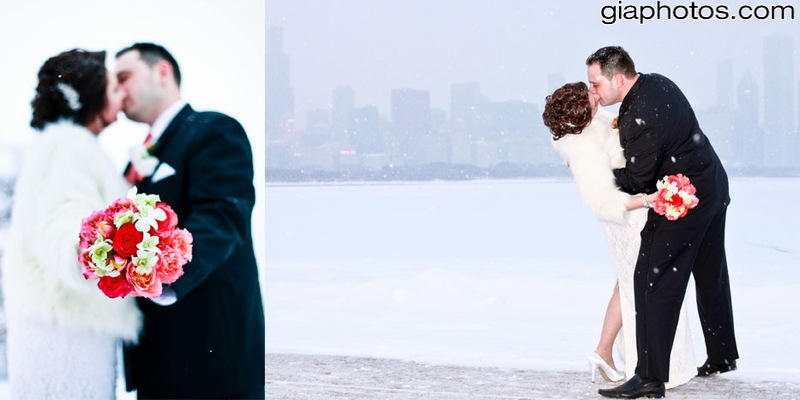 The majority of couples use the most iconic Chicago backdrops as the location for this wonderful event. Everything from the rink at the Peninsula and the rink at Wrigley Field, to the Cloud Gate, all these make for a wonderful site. I can’t wait to see what locations I’ll be shooting in this year. More photos to come. This entry was posted in Chicago Wedding Photographer on February 15, 2018 by Chicago Wedding Photographer. 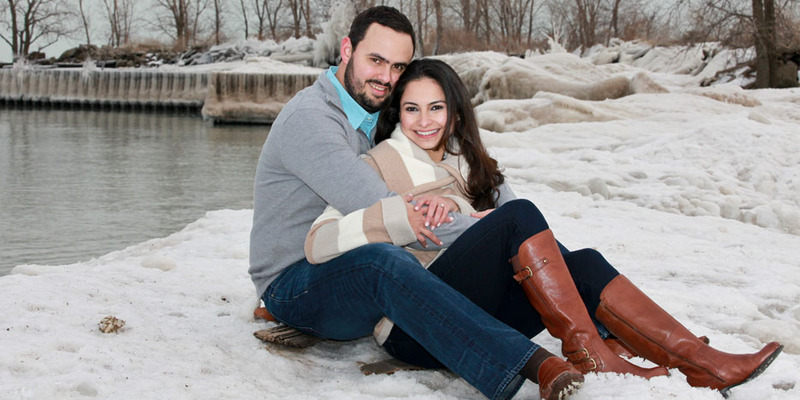 As mentioned in my earlier blog, I love doing winter engagement and wedding photography. And here are some more examples of this. 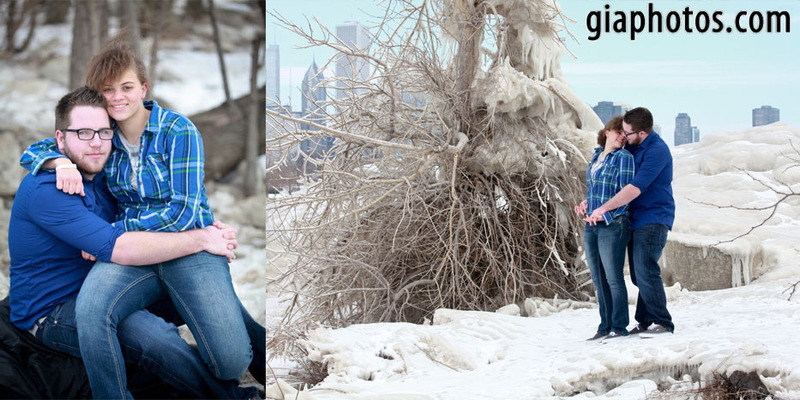 Not only do the couples get a very different background of Chicago, but also a great mysterious look that winter brings. 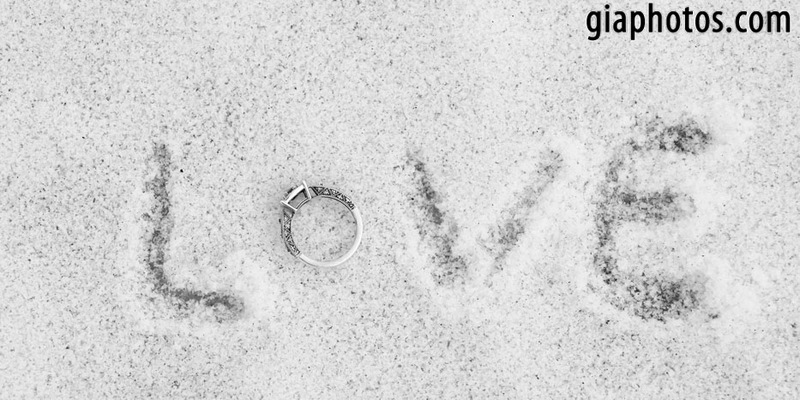 What I love the most is putting the ring in LOVE in snow rather than sand, which almost everyone does. 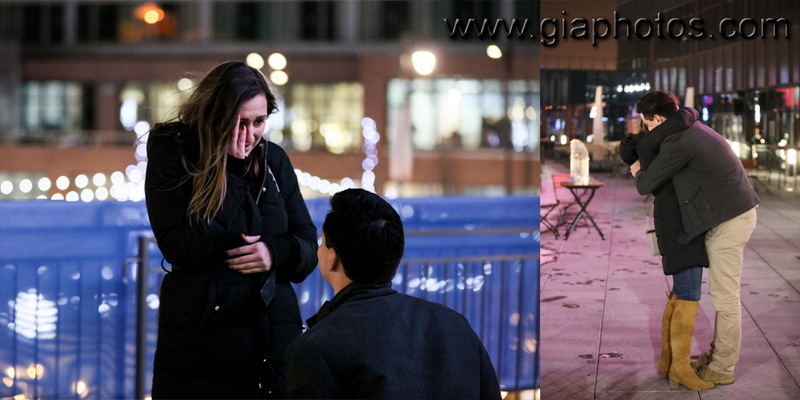 In my next blog I’ll put just surprise proposals that I was more than happy to capture during lots of snow and cold. This entry was posted in Chicago Wedding Photographer on February 11, 2018 by Chicago Wedding Photographer. This entry was posted in Chicago Wedding Photographer on February 9, 2018 by Chicago Wedding Photographer. 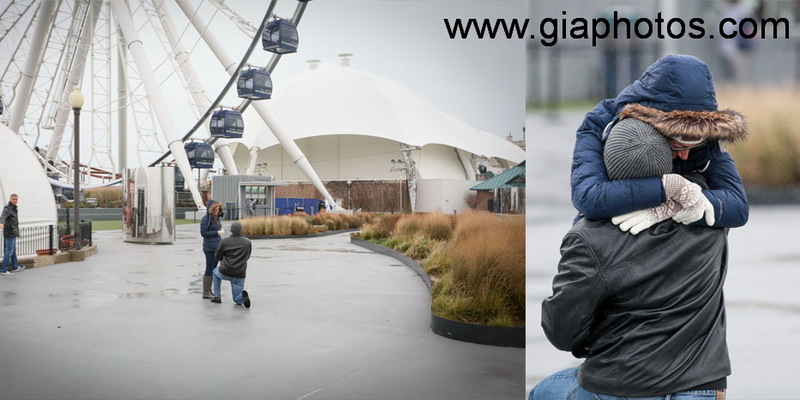 Novice photographers can greatly improve their skills by reading the following article. In this article, you will find a handful of great tricks that will help you begin your photography journey. Decide what is going to be in your picture. Many good photos show only a carefully chosen portion of the subject, rather than the whole thing. Don’t try to crowd too many things into the picture. If you want to give a more general impression of something, take a series of pictures, rather than a single photograph with no real focus or details. You can play with different colors and angles as well as utilizing the different features your camera offers. A good picture isn’t all about the subject, it’s also about the artistic way it is portrayed. A skilled photographer can take even the most overshot subject and create an image which is creative and jaw-dropping. You will find your own style as you experiment. Pack your equipment for a trip carefully. Pack extra accessories and lenses so that you won’t miss out on any photographs during your trip because of poor planning. Don’t take more with you than you absolutely need. Consider documenting your souvenirs with photography during your travels. You might take a shot of the store, or photograph the item in its original setting. When you do this, you have a nice, ready-made way of sharing the story of your souvenir hunting expedition! Composition is an important factor that every beginning photographer should consider and educate themselves on. Like other forms of art, if your composition is lacking, then the outcome will not be the best. Study up on different methods of composition and then apply it to your own photos. Planning a wedding is a big deal, as there are many pieces that must come together for it to all work smoothly on your wedding day. It may be difficult if you have a busy schedule. For this reason, it can be a very smart move to hire a wedding planner. You will receive great help in this article. When planning your wedding, think about what type of alcohol serving you want, and what type will be the most cost efficient. An open bar that is available all evening can quickly become a very costly endeavor. Ask about the different serving options your venue offers regarding alcohol. When you are planning your wedding don’t forget that people are going to need to get from your venue back to their hotel. Make sure your guests will have ways to be transported back to wherever they’re staying. This allows people to enjoy themselves and not have to worry about drinking and driving after the reception. As stated at the beginning of the article, when planning a wedding, there are many pieces that must come together. It’s simple to get lost working on details, so getting a great wedding planner to work with can help things go better for you. This article has provided you with great tips to help you get down to the wedding planning. This entry was posted in Chicago Wedding Photography and tagged wedding planner, when planning on January 28, 2018 by Chicago Wedding Photographer. Try things that you think would be interesting and new; don’t be afraid to explore. The best photos you take are the ones that reinforce your personal style and reflect the world as you see it. Don’t do the things that have been done several times before. Using your creative skills, try using some fresh angles. Make sure you have a good sense of depth when shooting landscapes. Foreground is very important in landscape photography; place an object in the foreground to create a sense of depth and scale. Giving sharp focus to your photos can be as simple as changing your settings. Apertures less than f/8 for digital cameras, and f/16 for full framed SLR cameras, will give you the image you really want. Here is a handy photo tip! You need to experiment with shutter speeds. You should see letters on your camera: P, M, A and S. P means your program mode. This “P” setting automatically controls shutter and aperture when you shoot. If you have no idea what settings you want, “P” is a safe choice! You may not have always been happy with your past photographs. Learning how to use a variety of lighting techniques can be help make photographs more interesting. Experiment with different angles to produce an artistic photograph taken from a unique perspective. 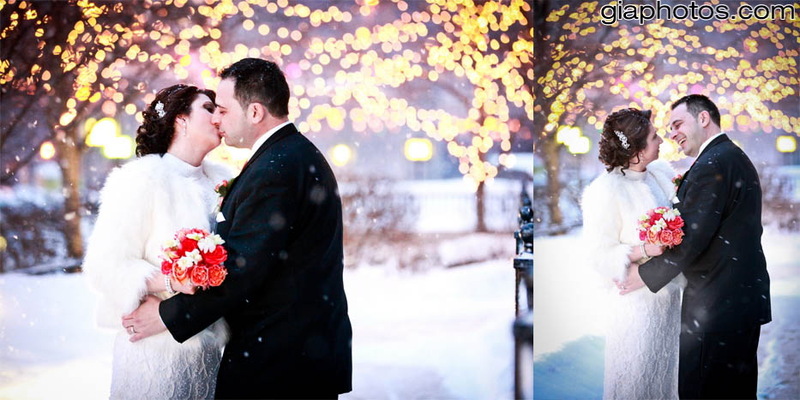 This entry was posted in Chicago Wedding Photographer on January 26, 2018 by Chicago Wedding Photographer. 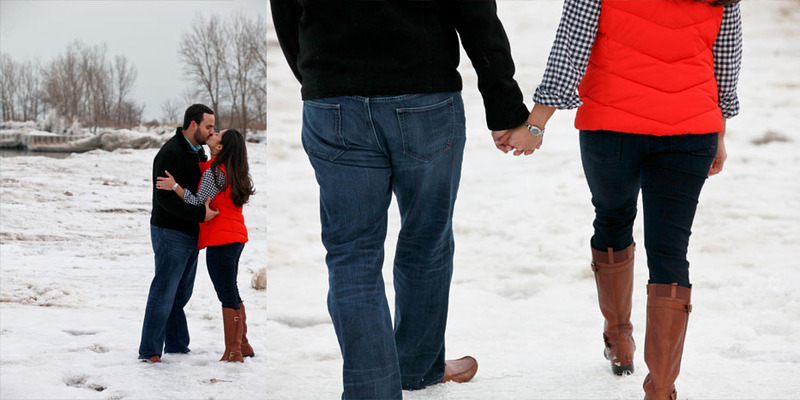 For the past few years, having a photographer present during a proposal is almost a necessity. Not only will she be impressed, but you’ll have memories to look at for a lifetime. I’m one of those lucky photographers that gets to witness many surprise proposals, and I’m very happy to be part of, what happens to be, the beginning of their journey through life together. 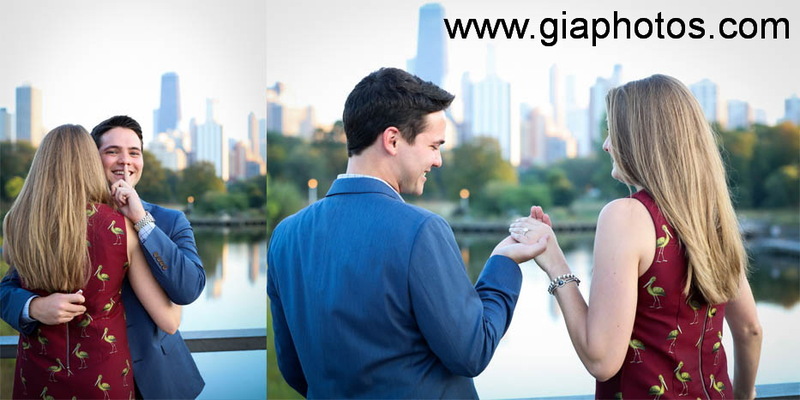 Chicago has unlimited, wonderful backgrounds and any of them make for a great location when popping the big question. Whatever idea you might have in mind, it will most certainly work, and I’ll try to make sure the photos are everything you had in mind and more. This entry was posted in Chicago Wedding Photographer on January 23, 2018 by Chicago Wedding Photographer. 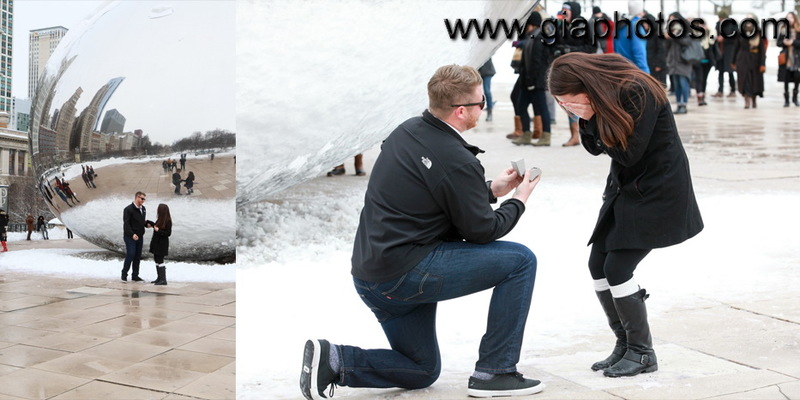 Lately most proposals are done with a photographer present to make sure that the wonderful moment is captured for a never-ending memory. I am lucky enough to be one of those photographers that is there when a couple is starting their journey together. 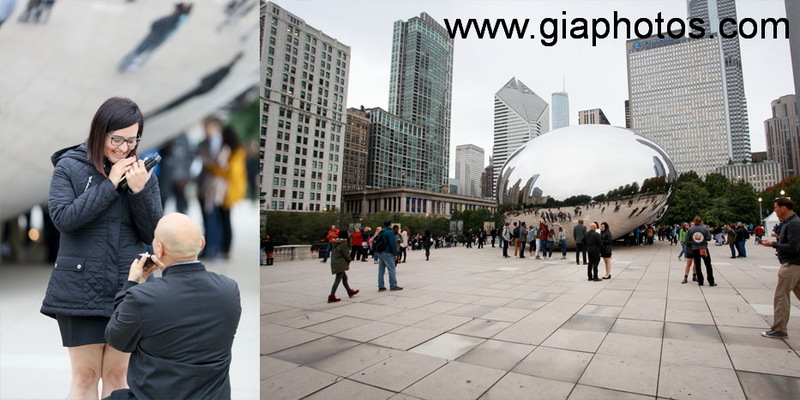 Chicago has possibly, some of the most beautiful backdrops, and the ideas can be endless. As you can see some of the best locations are Lincoln Park South Pond, downtown and Navy Pier. 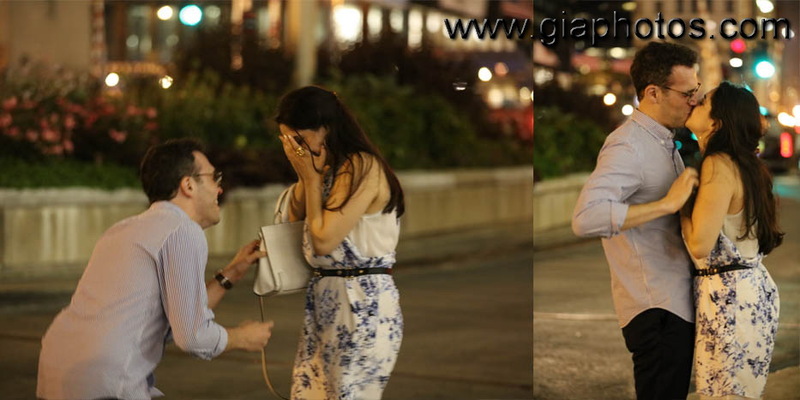 But, no matter where the proposal gets done, it’s for sure to be a great and wonderful memory for days and years to come. So, it is time to start planning your wedding. This is your big day and you want it to be perfect. Finding perfection is easy, but paying for it is not. How can you get everything you want while staying within your budget? 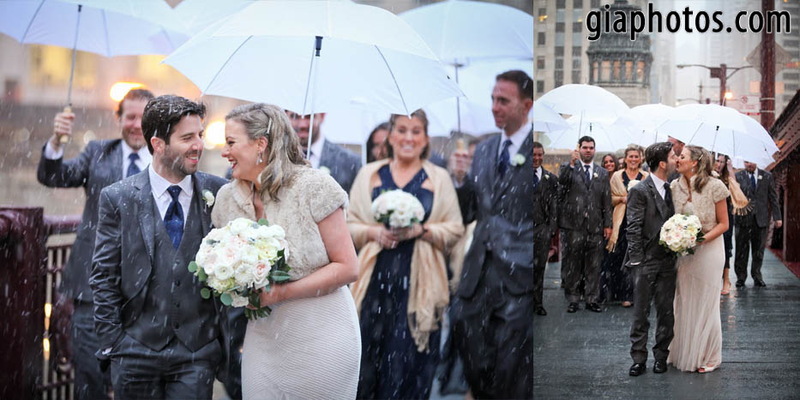 The following advice is going to guide you with sensible strategies for planning your wedding. Before your wedding day be sure to practice walking down the aisle multiple times. Make sure that you do this at the actual site of the wedding, as you will want to test out the floor with the shoes you are going to wear. It can also better the flow when the actual wedding takes place. By going international with your food choices, you not only make the event different but also exciting and fun. Choose a variety of dishes to add flair and flavor to your reception. Variety makes things interesting and will ensure you have a memorable dinner! Add the finishing touches of decoration on all your wedding decor. Use the same ribbon on the bouquet for your gown, centerpieces, or even your hair. These little details will elevate your wedding since it will show all the effort you put into it. It’s time for you to plan your big day, and you’re concerned about your budget and planning efforts. Perfection is your dream, but going bankrupt is your nightmare. This article gave you tips on planning a wedding without breaking the bank. Put the tips to use and have a great wedding day! This entry was posted in Chicago Wedding Photography on January 14, 2018 by Chicago Wedding Photographer.